There really isn't enough space in my house for yet another Ghastlies quilt but there's always room for pillows. I've been on a bit of a Swoon pillow jag lately. It started started with my Christmas version and then spread to a patriotic version so obviously a Halloween one was in order. Most of the Ghastlies focus prints are too spread apart for these smaller pieces but the Ghastlie Web print was perfect. For the quilting I made a free form spider web. This is such any easy and forgiving pattern and perfect for Halloween decorations! Lori Kennedy has a great spider web tutorial if you've never tried quilting one. Next time I'll try adding the spider. For the back I had a little fun and used this colorful 9 Ghastlie Lives print. As always, I used this zipper closure tutorial by to S.O.T.A.K. Handmade. Feeling Ghastly with this week's Finish it Up Friday by Crazy Mom Quilts. Fabrics: from the Ghastlies collections by Alexander Henry, P&B Basics, Onyx Grunge by basic grey. Beautiful. 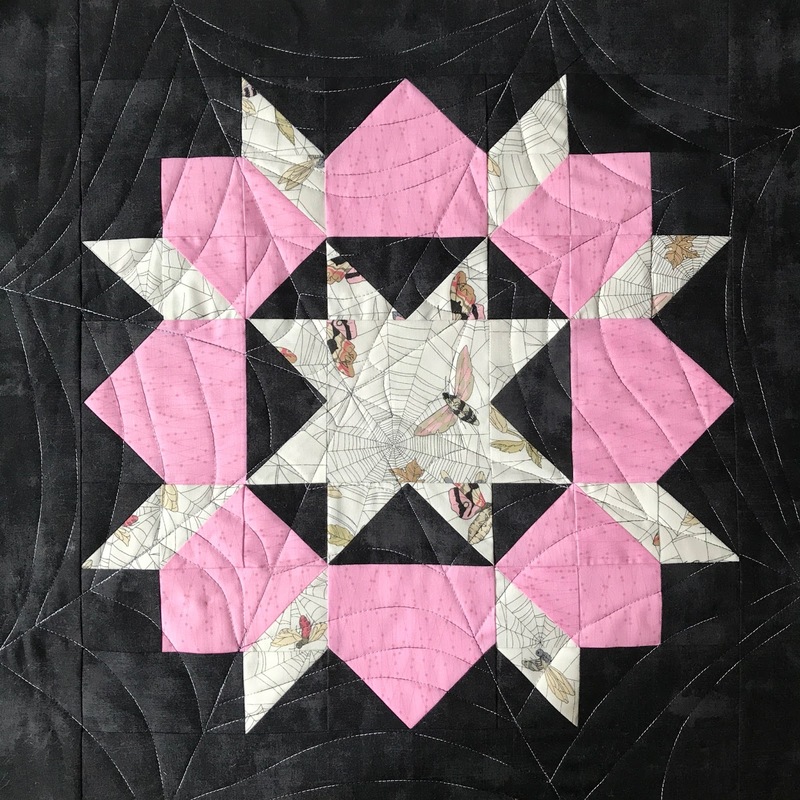 I love the backing fabric and your tutorial on the zipper closure. It gives it a really professional looking finish. Thanks!!! I love doing zipper closures on pillows - as you said it looks professional AND they seem to hold up better. Winning! 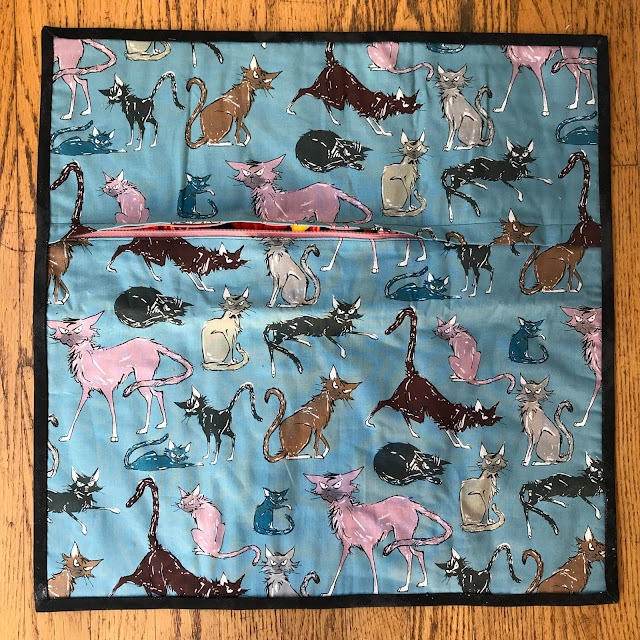 Oh what a perfect use for the fabric! 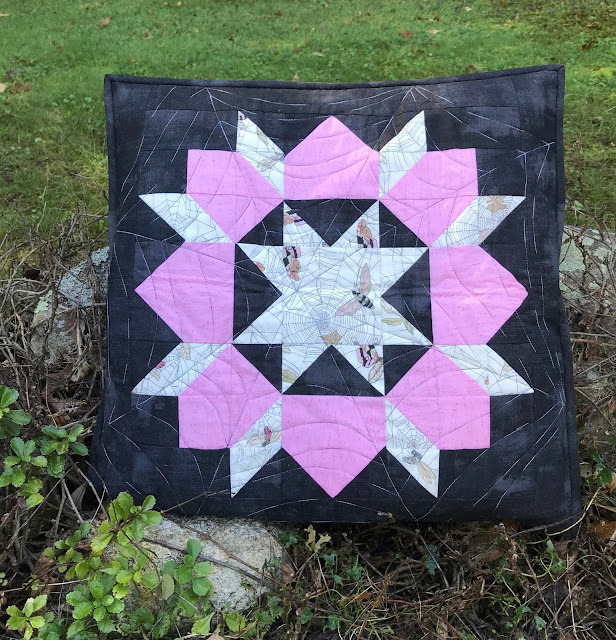 I love the off centre quilted web, it's the perfect finishing touch! Love love love! That pink is absolutely perfect!! 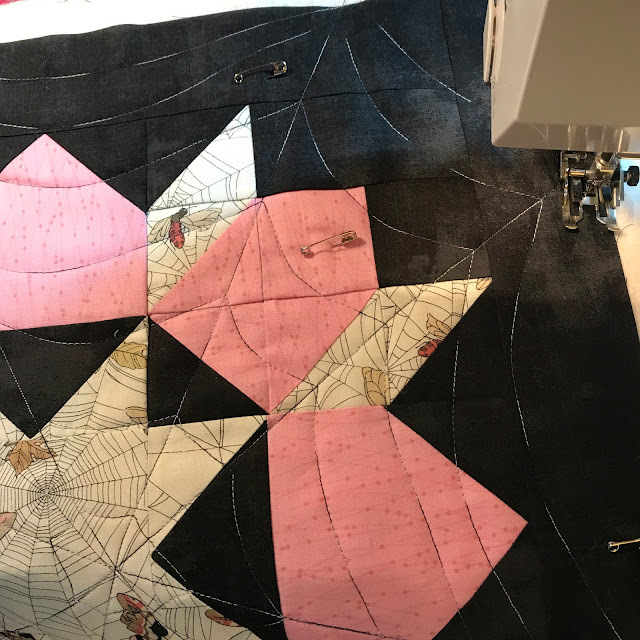 Love this pillow - the spider web quilting just makes it perfect! Fun! 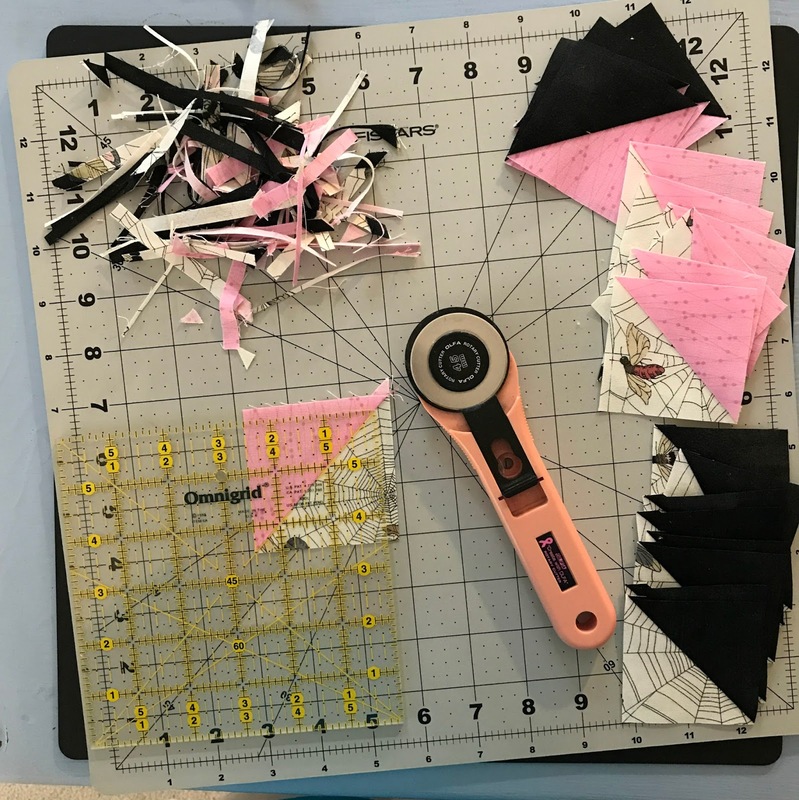 This is brilliant on so many accounts -- the fabric, the quilting. And you used variegated thread -- what a smart way to achieve a fabulous effect!